Joe is listed as playing an Orange 8x10 cabinet on Orange's website. 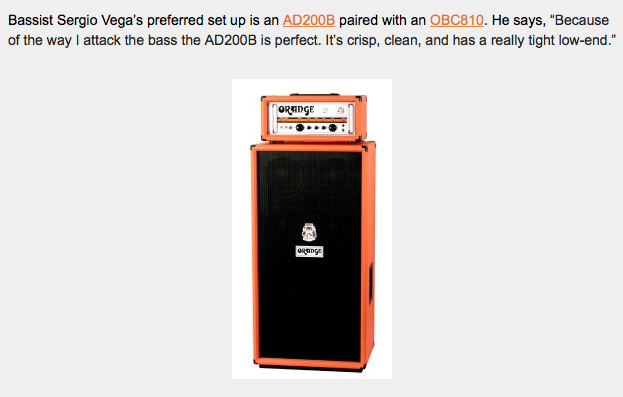 In [this article](http://orangeampsblog.com/?p=249) on Orange Amps' website, it says, "Bassist Sergio Vega’s preferred set up is an AD200B paired with an OBC810." Attributed to John on Europe's official Orange artist page. The list also mentions the Cooper uses this cabinet. Listed on John's official Orange artist page. The orange amps website states her gear. “The combination of the AD 200 and the OBC 810 is heavenly and are my favorite I have played. The consistency of both products on the road make them tour gold. 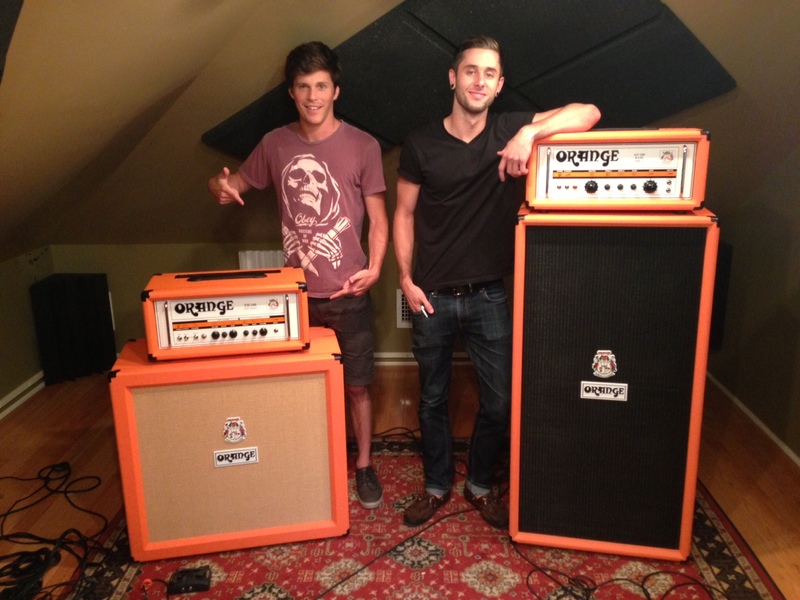 I could not be more ecstatic to play and share Orange amplifiers with the world," says Alex, on Orange Amp's [website](https://www.orangeamps.com/portfolio-item/matt-and-woody-of-our-last-night/). The website lists this as Joe's cabinet. In this photo, it can be seen that Fil uses the OBC810 Cabinet. To power an Orange Bass Terror head, Takeshi has an 8x10 Orange cabinet. 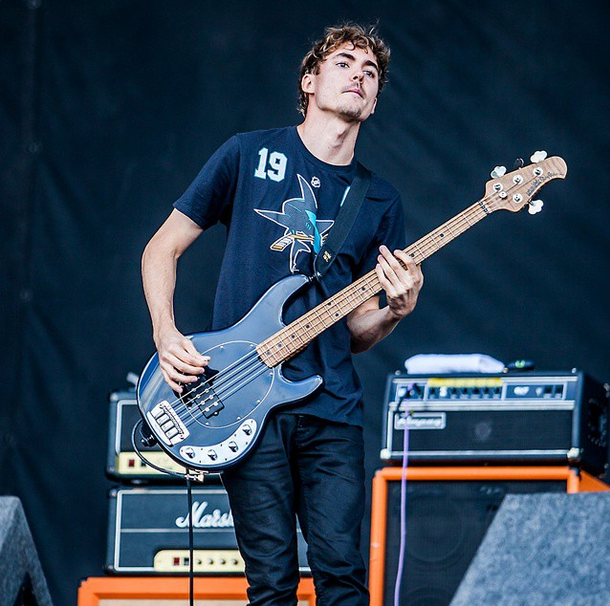 Drew states that he uses a orange bass cab to go with his orange bass head. We can see her using an Orange OBC810 Bass. No reviews or videos yet for Orange OBC810 Bass Speaker Cabinet. With an Equipboard account you can rate this item, add it to your collection, submit a review to discuss what you like and dislike about it, and associate Orange OBC810 Bass Speaker Cabinet to artists that use it. Create an account!